Should you baulk at the cost of the FaceVsion TouchCam N1 then you will no doubt be happier to see that Logitech isn't asking anywhere near the £90-odd price tag slapped on that solid little number. TheHD Webcam C510 comes in at a more pleasing £40, but doesn't have any of the Fischer Price stylings of the cheaper cams like Genius' offerings. The C510 also comes with a packed bundle aside from the necessary evil of driver installation disks. It comes with a launcher for the camera which gives you access to a host of related apps that you can download for free to use with the C510. 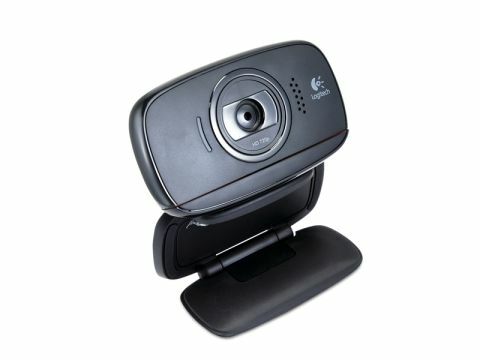 It also links in with any software ready to use the HD camera, such as the latest Skype client and Live Movie Maker too. Aside from Skype it also comes with Logitech's own HD video calling app, called Vid HD. It's more basic than Skype, but that only makes it incredibly easy to use. Crucially it also works cross vendor so you're not restricted just to Logitech cams. It's an excellent little cam, with a great bundle to boot. Well worth the £40 price tag.